This has been a fun series to make. It consists of 155 pieces. I began making city art in December of 2013, it’s still going strong. I have found series self-confidence while making this series, I approve of a lot of these and find that I’ve gotten better and better. I added a few of these to the Fine Art America store for sale as posters, prints on canvas, metal and acrylic. They look really great on metal. 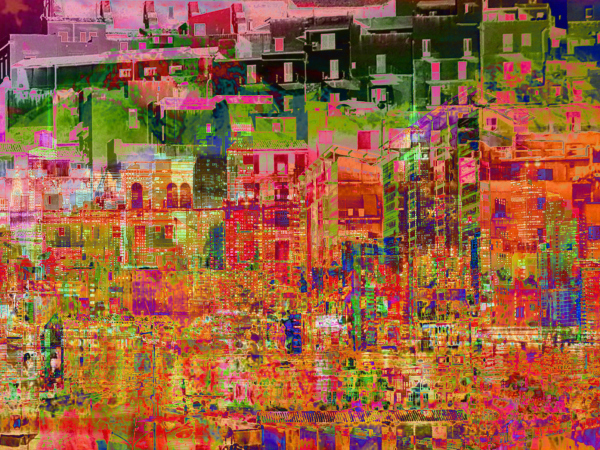 City art and cityscape prints have their own gallery at Fine Art America. Let’s celebrate by making more art! 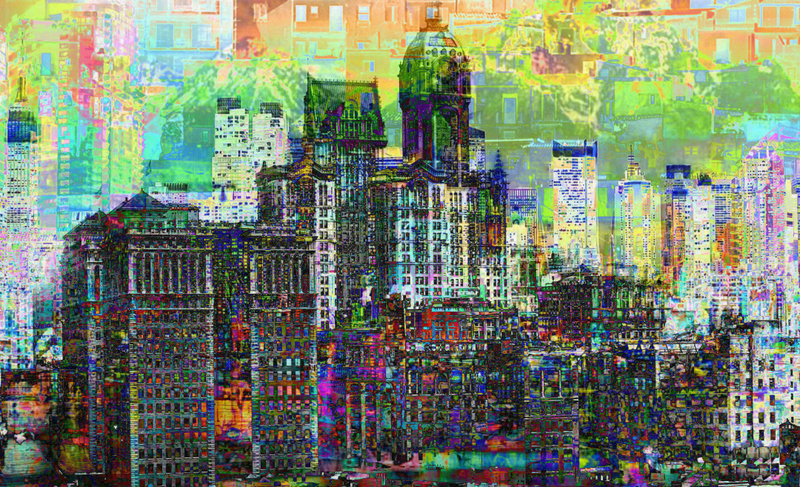 I used digital editor software called PicMonkey and Corel to make this city art. My tools were overlays and digital paint. I can make art out of your city too. Contact me here or at Fine Art America for more information. 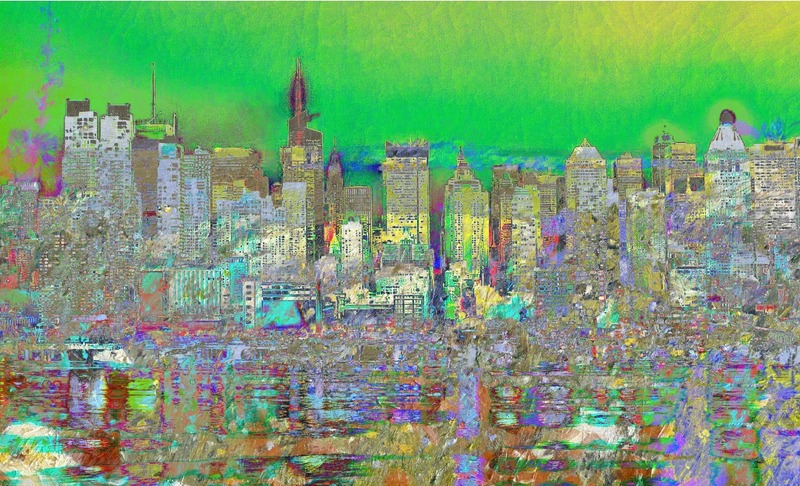 City art prints are available on canvas, archival paper, metal and acrylic. 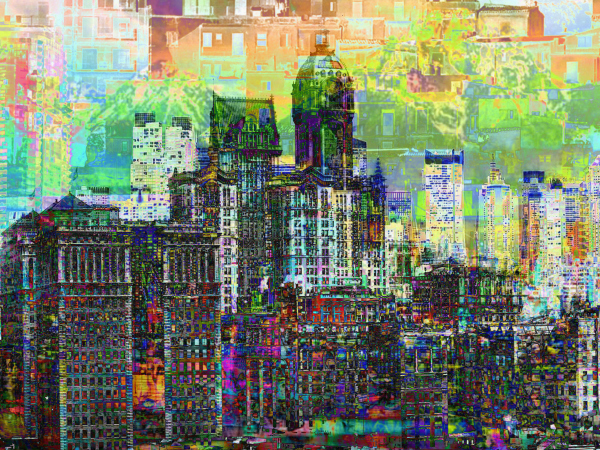 You can find my City Art Cityscape series in the City Art Gallery and in Fine Art America online Store. The ones I’ve added to the store are my most favorites. I am working on a few other projects and series right now. The Layer Art project has taken up the last month and I’ll be making more for another month. 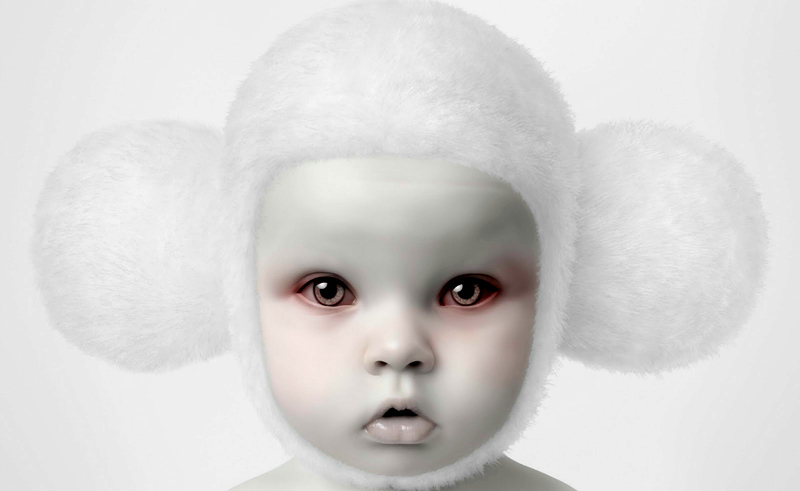 You can check those out at Layer Art Project and Layer Art Gallery. Also in the works, the Portrait Art series. There are 155 works of art in the Portrait Art series now and I add to it every day. 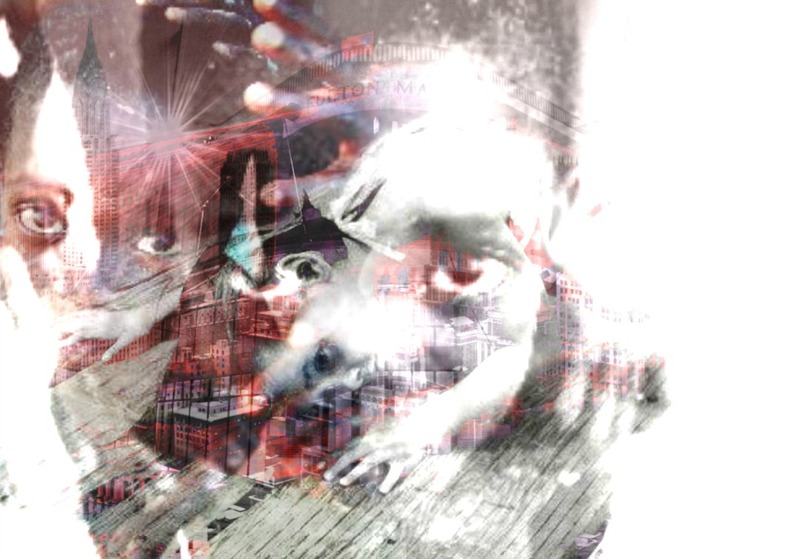 My latest works are portraits of Alek Wek and Frida Gustavsson. City Optimist is an cityscape I created in 2014. It’s pastel colors make it my favorite city art print. The most popular of my cityscapes, it was also one of my first city prints. 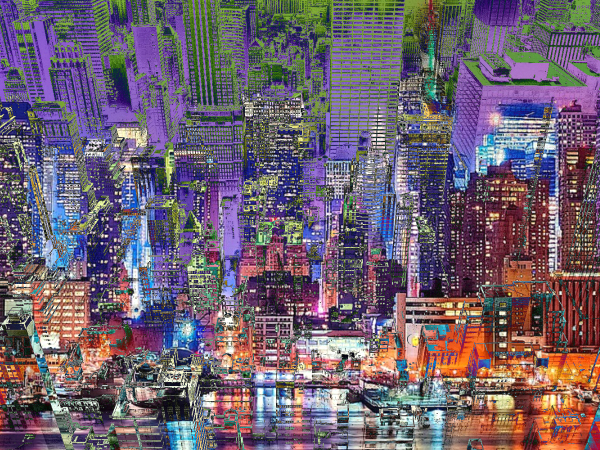 This lovely colors in this print bring the wonderful city lights to life. Shine on city dwellers, all is well.